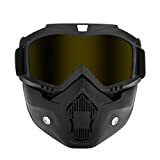 There are different paintball masks available on the market with unique features that suit the needs of different customers. 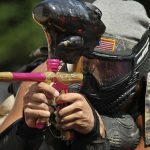 This article features some of the best paintball masks reviewed and ranked based on their features. 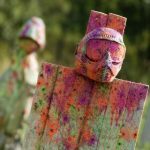 The selection criteria for choosing the best paintball mask paintball how well they fit, price range, durability, as well as ergonomics. 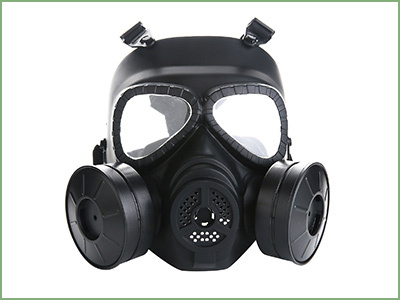 The quality of the paintball masks and the ratings based on user satisfaction were also considered. We have considered the varying user needs with respect to comfort and safety status when paint-balling. 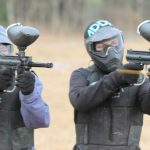 After extensive research, we were able to pick out the top eight best paintball masks so you can choose one that suits your specific needs. 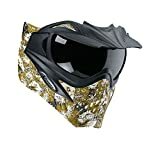 Like most of the other great paintball masks, this brand has a visibility degree of 270 in foggy areas enhanced by the presence of dual-pane thermal lens. 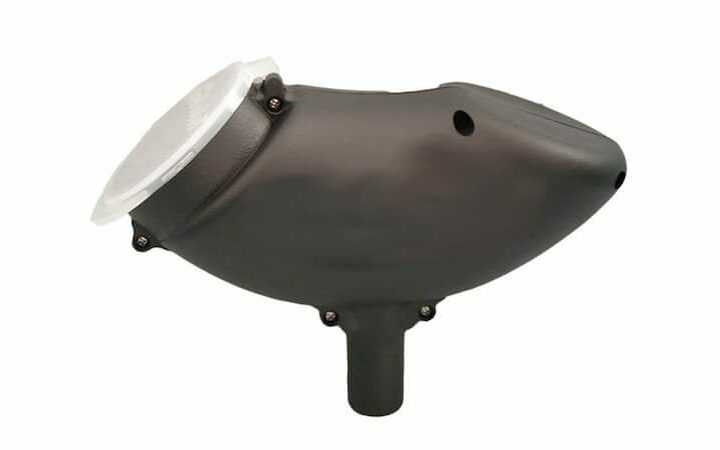 Replacing the lens is quick and easy allowing for simple maintenance processes. Empire is one of the most successful companies in manufacturing paintball sports products like guns and masks. However, some users of their products prefer to upgrade to HUD. Despite this, the company has not taken that into account, a factor that has reduced the level of customer satisfaction. 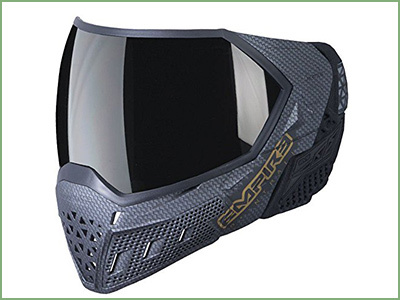 The Empire EVS is still a good paintball mask, especially since it is able to fit users with glasses. You can also see clearly through the mask as well as hear and speak audibly. Vilong produced the most durable paintball mask because they installed lens that are hard to break even under a high impact of force. The cushioning on the head of the mask is also comfortable for players and it fits well for all types of users. The plastic fabric used to make this paintball mask is shock resistant hence will be able to protect the users when paint-balling. The ability of the mask to remain in place in the field is made possible by the good fit and enhanced by the dense nylon straps used in the design. It has a 3.9 customer rating, which makes it one of the most preferred paintball masks in the world. Gen-X Global XVSN brand is considered one of the best paintball masks on the market because of its lightweight compact design. It comes with a nylon, plastic, and cotton fabric that makes it elastic enough to fit most players in addition to making it durable. It allows for proper air circulation and has a thermal lens that enhances the user’s vision when paint-balling in a foggy place. The ventilation feature allows for heat to escape from the mask hence making it comfortable for the user. 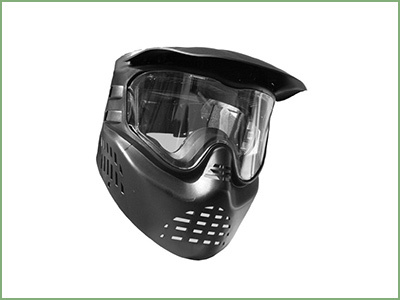 The visor installed in this paintball mask is removable which is the style most players prefer. This brand of paintball masks is the best in the market considering it uses the world’s number one anti-fog and anti-scratch lenses. This makes them the safest to use as they protect the user’s face since they cannot be distorted when paint-balling. The V-force Grill paintball mask is best known for its 3D lens whose style allows for marginal vision. The vision is enhanced by the Hard-target Design used on the mask to help lessen the target area hence creating a stiff competition in the field. 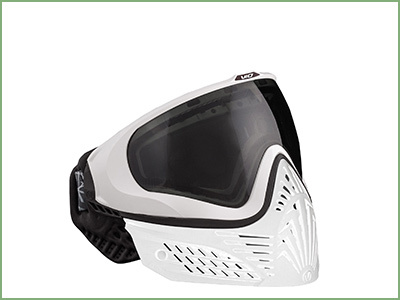 With a user satisfaction rating of 4.3, this is the best paintball mask to use especially if the field is foggy. This is one of the cheapest paintball masks with an elastic strap that can be adjusted to fit any users. The mask is also fitted with a steel mesh that keeps the player’s eyes protected when paint-balling. This is arguably one of the best paintball masks given that even the military individuals prefer it. The mask is able to take a shot from a high power paintball gun without any major damage. This is enhanced by the plastic fabric used to make it and the metal mash designed on it. 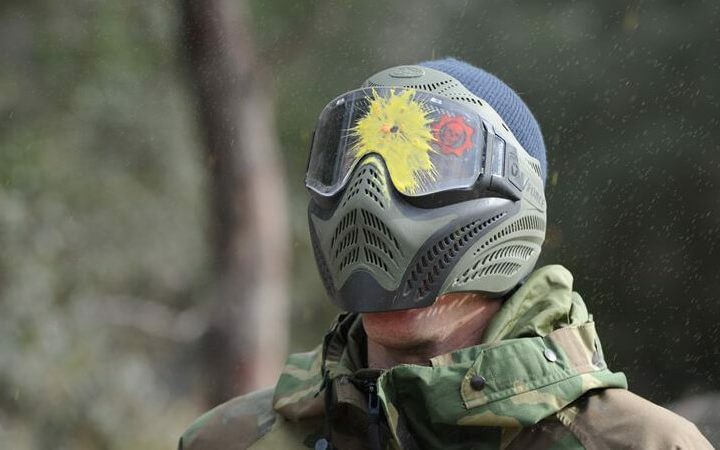 The main downside associated with this brand of paintball mask is the fact that its fitting is poor especially if the player is wearing glasses. Although it is able to attain a user rating of 4.3, some customers say that it comes with a high chemical smell that makes it necessary to air it out before use. This is one of the most unique paintball masks on the market today because of its special VIO extend. It comes in a large yet fitting size that makes it comfortable for ventilation and enables it to offer protection. The paintball mask also offers flexibility by not only being fitting but also molding comfortably around your head. This feature increases its demand among professional players. In spite of the 4.7 rating, some users think that its coverage is minimized, unlike the Dye i4. With this mask, however, you can hear clearly, breathe with ease, and speak with other players without having to lift the mask off. This definitely makes it a worthy contender for the title of best paintball mask. This is not the cheapest paintball mask but its high quality and ergonomics make it worth the price. It is manufactured with dual-pane thermal lens that enhance its effectiveness when paint-balling in a foggy field. Changing of the lens is also easy and quick, which allows a proper maintenance. 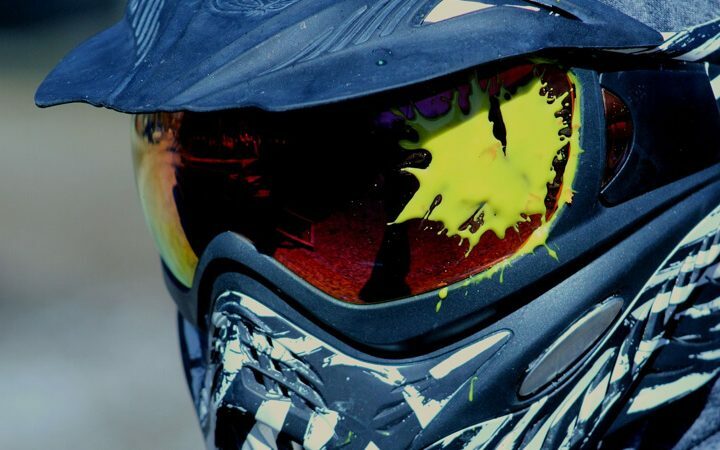 This is the best paintball mask because the degree of visibility of the lens in a foggy place is 270, which is more than most paintball masks on the market can offer. Regardless of this improved characteristic, some users tend to argue that fog visibility is not perfect and should be upgraded. It comes with a visor and is well fitting all the way to the forehead even with your glasses on. An average rating of 4.5, however, is proof enough that most users can trust its reliability, effectiveness, and efficiency. To ensure that you stay safe while shooting, you should also invest in a set of professional paintball gloves! 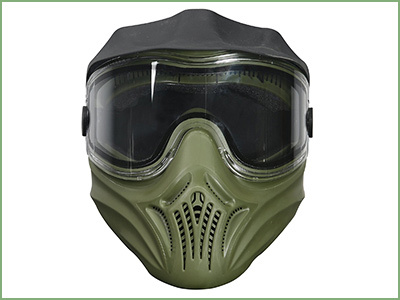 The GXG paintball mask is one of the cheapest yet high-quality masks available. With an average user satisfaction rating of 4.3, the GXG is the best paintball mask you can have. It is designed with a standard visor and straps that are beyond the ASTM standards, which makes it unique. The size of the mask fits every user even with your glasses on making it comfortable during use. 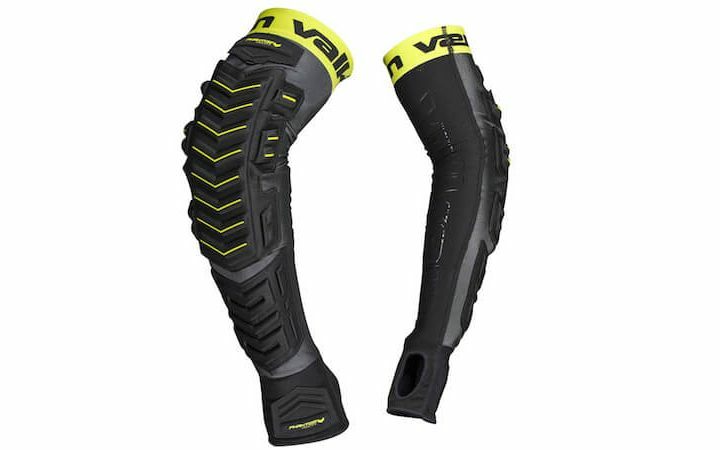 While it is well fitting, it also allows for ventilation giving the user an easy time when paint-balling in the field. 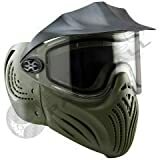 This is the best paintball mask for you if you are looking for quality, comfort, and saving a few coins. The above list represents what we have found to be the best paintball masks on the market today. Each of the masks described above has its unique features that make it special. We, however, have picked the GXG XVSN Paintball Mask to be the best since its price is low but its quality and ergonomics are among the best in the market. Which is your go-to paintball mask? What brand do you prefer? Let us know in the comments section! I am trying to decide which paintball mask to get. I’m leaning more towards Empire, but Vilong seems to have some pretty good advantages as well. The only thing is that I wear glasses and it seems like Empire may be better because of that. Yes, a lot of paintball users who wear glasses lean towards the Empire. Plus they have a lot of really cool-looking options! I adore the Skull 40d Full Face Wire Mesh Mask. It’s not only super functional but it is a great Halloween material. And it doesn’t have to be Halloween to scare anyone around by wearing it. That is the real reason I can’t live without it. Ha, that’s great! Thank you for sharing! That’s one thing we didn’t take into consideration! 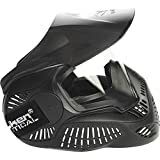 The Invert Helix Thermal Paintball Mask is not cheap and not all that fashionable but it is one of the best ones out there. You can’t skimp on money or be picky about fashion when it comes to this anyway. Efficiency is all that matters. We completely agree! Safety first! If you are wearing the Invert Helix Thermal Paintball Mask, you are going to look like an alien. But who cares? It is the safest and most affordable paintball mask out there. Why take a chance on not getting the best even if you look like an alien? And you can make that alien look work, if you’re into SF scenarios! The V-force Grill paintball mask is really the best out there, and that is because I really dig those 3D effects it gives. It is quite helpful as well when you are paintballing on a day that is not at all clear. That is very useful insight, thank you! 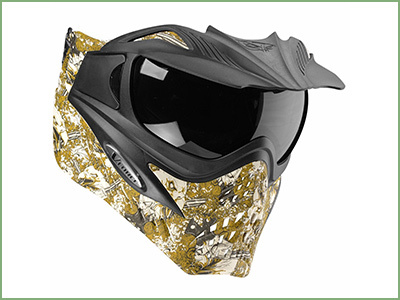 The V-force Grill paintball mask is the coolest one around, and it is strong like iron. 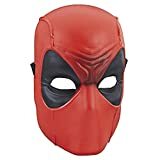 It also helps you see a lot better and the mask just has so many great features. And, it also looks cool and not creepy like some masks do. I am also fond of the V-force Grill paintball mask for the same reasons that Jerod stated. There is no need to echo it again. However, I caution you against the Skull 40d Full Face Wire Mesh Mask. The smell of it made me throw up. Ew, is this a common issue? Has anyone else had this problem? 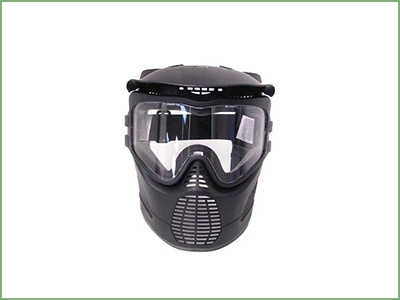 Nothing can beat the GXG paintball mask because it is not only affordable but it works great. And it is well ventilated as well. I cannot recommend it enough. So if you are looking for a paintball mask, then get the GXG! 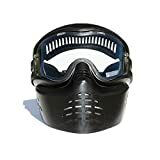 This is useful and quite interesting because I am looking for a good quality paintball mask but not sure which one to get. 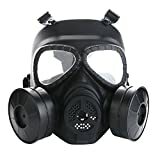 I am about to become a beginner but need to get a mask before I actually start getting into paintball. Why is everyone making a big deal out of how the paintball mask appears? I mean, so what if you look like you are from outer space when you wear it? I think the most important thing is that it does its job the right way. Right? 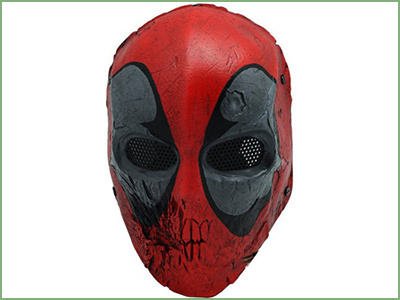 The Skull 40d Full Face Wire Mesh Mask is a good paintball mask and it is even a better component of a wicked Halloween costume. Do you agree with me? I don’t think I would be able to go trick or treating at my age though lol.